Angelo earned his Bachelor of Science (in Computer Science) degree, at Notre Dame University. Then, he completed his Masters in Information Technology, at The University of Sydney. Since then, he’s worked in the mapping/geospatial sector for over 10 years. He likes how these technologies help people better understand their world. Angelo started his career in public sector. He worked as a developer for National Mapping and Resource Information Authority in the Philippines. While there, he helped establish a national geospatial web portal. This is now used in disaster risk response and mitigation. Following that, he moved to the private sector. During this time, he worked for Cloud Sherpas, which was later acquired by Accenture. 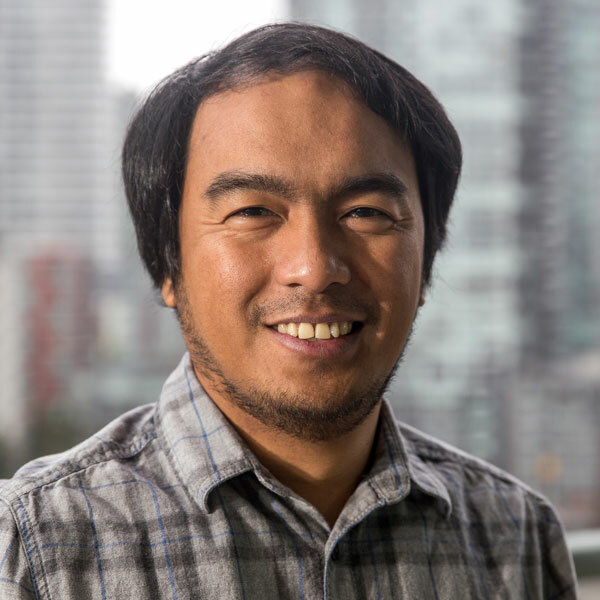 In July, 2018, Angelo moved to Prince George, to join Sparkgeo. He came, in part, for the opportunity to work full-stack and focus on geospatial. The company’s remote-first nature also appealed to him. He feels more productive when he works at home. This setup allows him to dedicate longer hours to the project he’s working on, while remaining available to his family. Outside of work, Angelo is excited by how the space industry is being disrupted. (He admits to being a SpaceX fan.) He enjoys hiking with his family. Together, they have scaled many mountains. He enjoys photography, and would like to visit Sydney (for the Opera House) and Reykjavík (for the Aurora).